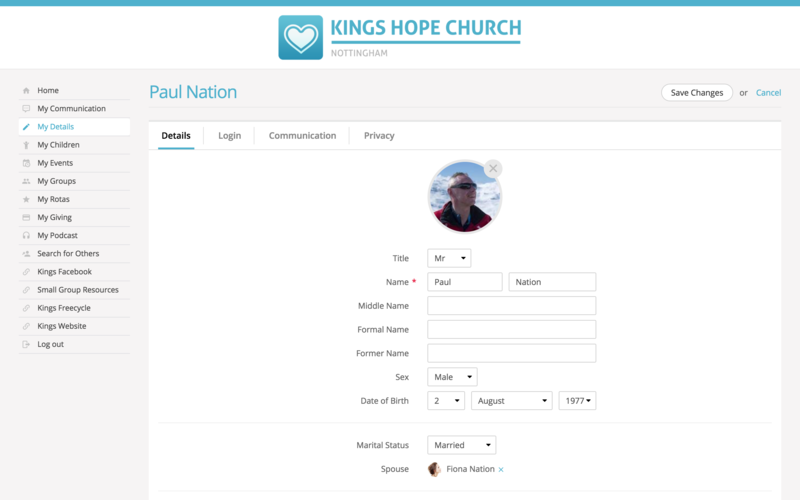 You can easily manage which fields of information you want to allow your church members to be able to edit when they log into My ChurchSuite. It saves considerable "office" time and ensures data is accurate if your church members are able to keep their own details up to date. 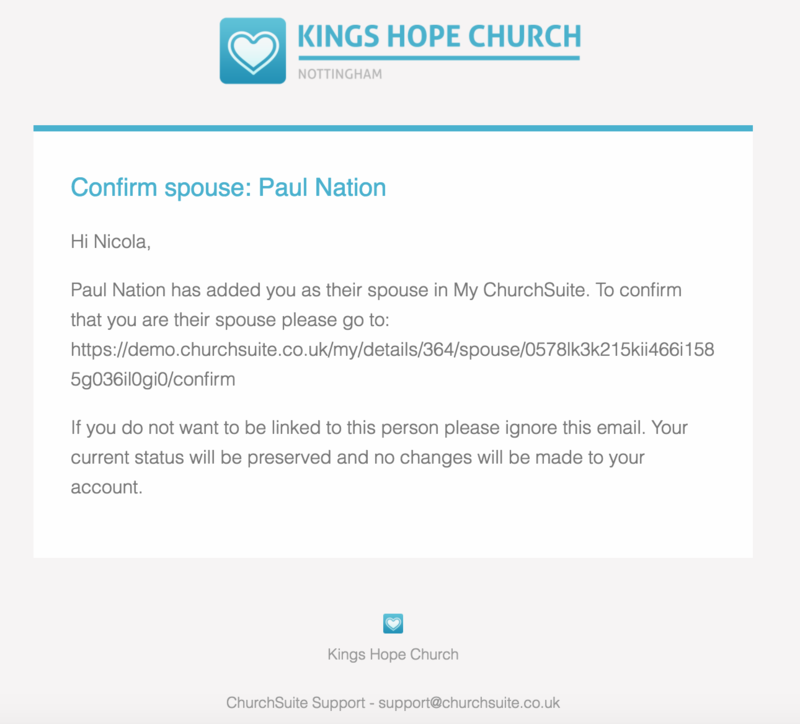 Here's how you can manage which fields of personal data they can see and what they can edit within My ChurchSuite. Within your admin-facing ChurchSuite account, head into the "Address Book" module settings (the cog-wheels in top right corner of the module). You'll need manage module or Administrator permissions to do this. In the module's settings, select the My ChurchSuite tab. Scroll down to the "Editable Fields" section. Here you can select which fields your My ChurchSuite church members can edit. Scrolling further down the page to the "Custom Fields" section, here you can control which of your Custom Fields can be edited (and which fields will be visible in "Search for others"). Remember to save any changes made to your module settings before closing. 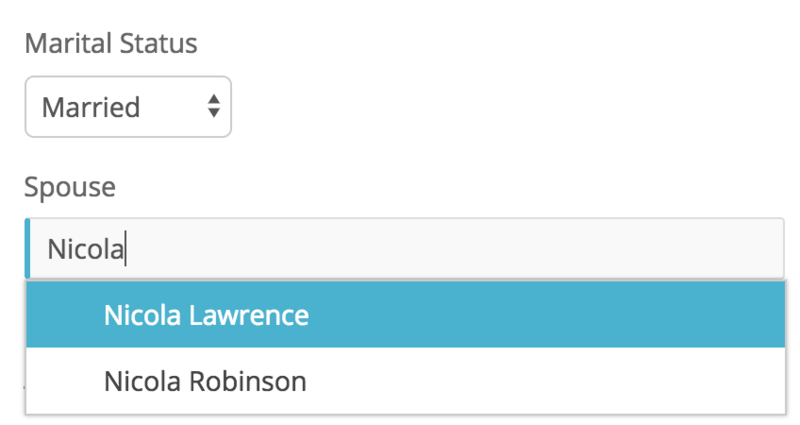 One of the editable field options shown above relates to whether a church member is allowed to link to themselves to their spouse/partner from within their My ChurchSuite. When the "Allow contacts to link to their spouse/partner" option is checked, church members will (subject to their marital status) be able to search for their spouse/partner's name and link the two contacts. In searching for a contact, ChurchSuite will auto-suggest names from the Address Book as they type. Importantly, the names suggested are only those other church members whose privacy settings have their name set to be visible to other church members in My ChurchSuite, just as they are already visible elsewhere in My ChurchSuite e.g. on rotas, in small groups, in "search for others". Usually it's helpful that church members can manage their own data in this way, e.g. when people get engaged or married. It's also more helpful if individuals take responsibility for when they change their marital status if they separate or divorce. ... and the selected new spouse/partner will receive an email asking them to confirm the change (see below). Only when this confirmation is made will My Children and My Giving of the spouse/partner be linked to the church member.